There are quite a few people who come in your life and connect with effortlessly. You easily understand each other even with nonverbal cues. You can discuss anything under the sun without getting bored of each other’s company. When you’re together, the surroundings seem to evaporate and only the two of you exist. Clearly, this person is your possible twin flame. 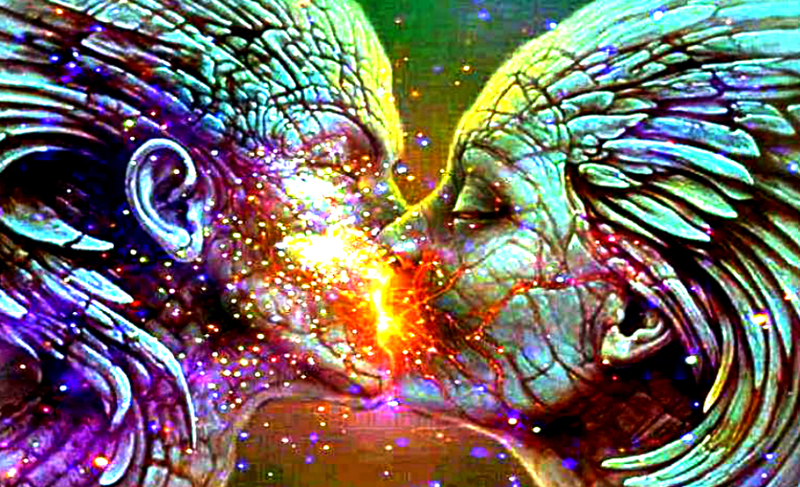 Twin flames vibrate in the same level of frequency and strongly connect with each other in an almost transcendental way. However, despite the magnetism you both feel, you have to part ways for a lot of reasons. Either one of you may not be ready yet, or one may still need to learn some lessons before being prepared to stay on each other’s side for good. Whatever the reason is, you find each other to be parting ways. And this happens to most twin flame relationships at first. It’s normal. If this happens to you, here are the right things to do under the circumstance so you can maximize the chance for a reunion and a better relationship. First, allow your twin flame to go without chasing them around. Don’t stalk their activities through social media and avoid bumping into them on purpose. Let them learn the lessons they need to learn and find themselves in the process. Accept the fact that you may have met in an unfavorable time and be open to the possibilities of meeting each other at the right time and circumstance. Finding fault with yourself is easy since nobody is born perfect, and you know your own flaws better than anybody else. But just because you are flawed doesn’t mean you don’t deserve to find your twin flame. Like we said, nobody is perfect. If you think that they leave because of something you did, then make amends with yourself. Reflect on how you can improve yourself and do just that. However, if there is something you do not want to change and you think that’s the reason why you two didn’t work, do not change that. Accept who you are fully. In fact, the purpose of the second step is to find a way to accept who you are by either improving your rough edges or completely owning them. 3. Focus on rekindling your own flame. Chances are, when the relationship with your twin flame didn’t work, or maybe didn’t even start at all, your positive outlook on life and your zeal were struck really hard. You’ve been hurt and you’ve lost touch with your own flame in your heart. The natural positivity and hope you had when you were a kid. Instead of focusing on what went wrong, put your focus on what could turn right. Focus on your life and your purpose. Do the things that can improve your own self. Live the best life you can live. Start doing things that make you vibrate higher. Follow your passions. There are so many things you can do to vibrate higher. When you vibrate higher, you are likely to attract your twin flame back because that’s what rekindles your own flame. Rarely who can turn down a person with a positive outlook on life and fire in their heart. Most of all, be the person you love seeing in your twin flame. And if they’re really your twin flame, they’ll sense it, see it, and come back.